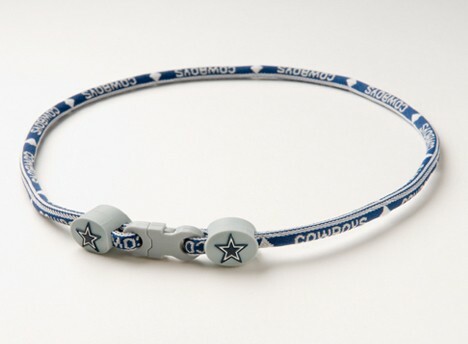 This is a Dallas Cowboys NFL Football Titanium Necklace. Expand and acesorize your NFL wardrobe with strands of team pride wearing an Eagles Wings titanium necklace. Each strand is reinforced with titanium and features an allover print of your team's name. The ends of this 21" necklace are accented with small team logos. This is a great way to show that team spirit.